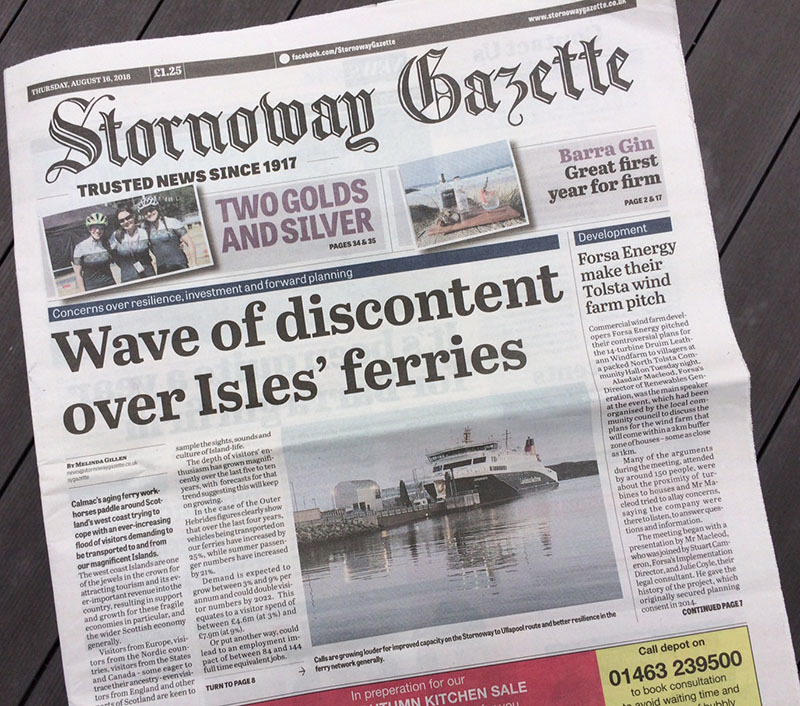 By coincidence I was in Stornoway last week when this local newspaper published a three-page article about the ferry services. An ever-increasing flood of visitors puts quite a lot of pressure on the ferry network, especially on the remote islands of the west coast. On the services to the Outer Hebrides, ferries have seen 25% more cars and 21% more summer passengers over the last four years. Demand is expected to grow up to 9% per annum, which is good for the local economy. However, the newspaper says the islands need more reliable ferry services. They calculated that half of the fleet is older than 25 years. Still it was a young vessel that lost power mid August, and fuelled the discontent. LOCH SEAFORTH is from 2014. She is the sole vessel on this remote route, making it vulnerable. The main criticism addressed to the Scottish Government is about the lack of foresight and investment.